The draw for the Westfield FFA Cup quarter finals will be conducted at the completion of the remaining four Round of 16 matches. 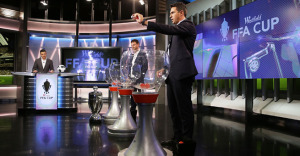 Hosted by FOX SPORTS football personality Michael Zappone, the draw to determine the matchups in the last eight will be conducted by former Perth Glory, Sydney FC, Sydney United 58 FC and Socceroos midfielder Mark Robertson, together with former NSL championship winner and fellow Socceroo Luke Casserly. So make sure to tune in after the last Round of 16 encounter is decided to see who will play who in the Westfield FFA Cup quarter finals.